I will never be invited to a public debate on healthcare reform. Bit of a shame -- I could make a case that I'm unusually well suited by experience, training, and employment to opine on the topic. I even have a one slide presentation, which I came up with in the shower this morning. Here it is (imagine the two visuals on the same slide). The top image is a new Lexus. It's a very fine car. There's a luxury premium to be sure, but perhaps not so much as with a Mercedes. 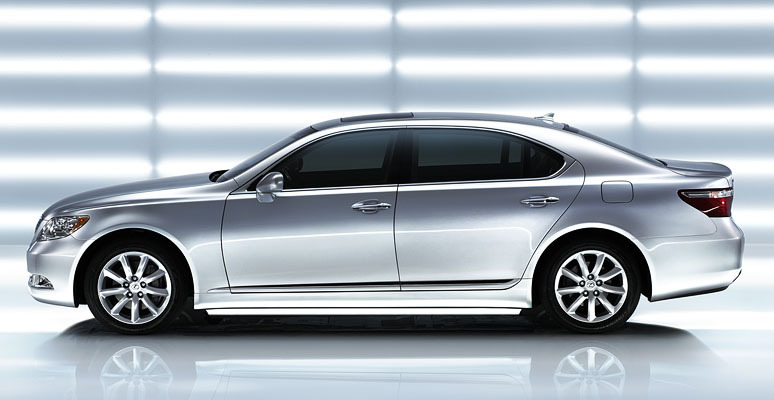 You really do get a lot of quality when you buy a Lexus. The bottom image is from a Manhattan subway. I think the subway is better now than when I strolled the then mean streets of Manhattan; in those days it was smelly, dirty, and very noisy. It delivered excellent value for the price, though it was not a pleasant ride. If you lived in Manhattan, sometimes the subway was really a much better way to get from A to B than the Lexus. The Lexus, of course, would be most people's first choice if they could afford it. That's all you need to know about Healthcare Reform in America. I grew up in Quebec when socialized medicine was new. It was fabulous for us. Everyone got a Honda Accord and was more or less satisfied with that. Cost structures changed over time, and now everyone rides the subway. That doesn't work for those who can afford a Lexus, or even an Accord. The mistake of socialized medicine was thinking that it was possible to provide an Accord forever, to everyone. I live in America, where almost everyone insists on a Lexus and a heck of a lot of people are walking. Without shoes. In winter. Increasingly the walkers are newly underemployed and unemployed men and women aged 50 to 65. The tragedy of American healthcare is obvious. America will aways provide the Lexus, and the Mercedes, and the chauffeur driven Rolls-Royce to those who wish can afford them -- and choose them. It will also provide the Accord for a heck of a lot of people. Those who get the Accord and the Lexus will often, but not always, get better experiences and outcomes than those who ride the subway. All Healthcare reform discussions in America are about the subway. That would be the end of my presentation.